Brick Town Talk: Inspiration of the Day - 8/12/11 - LEGO Town, Architecture, Building Tips, Inspiration Ideas, and more! 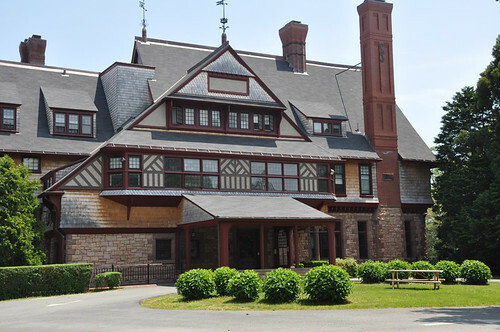 Newport, Rhode Island - (BTT) Although predominantly known for creating buildings in the architectural style bearing his name, Henry Hobson Richardson's William Watts Sherman House, completed in 1875, is considered one of the pioneers of the Shingle Style. Stanford White, at that time a draftsman at Richardson's office who worked on the project, later helped evolve the style further after breaking away and co-founding McKim, Mead & White; a firm that will no doubt get their own inspiration entry one day.